SV8CS : 136KHz portable operation- RX only. 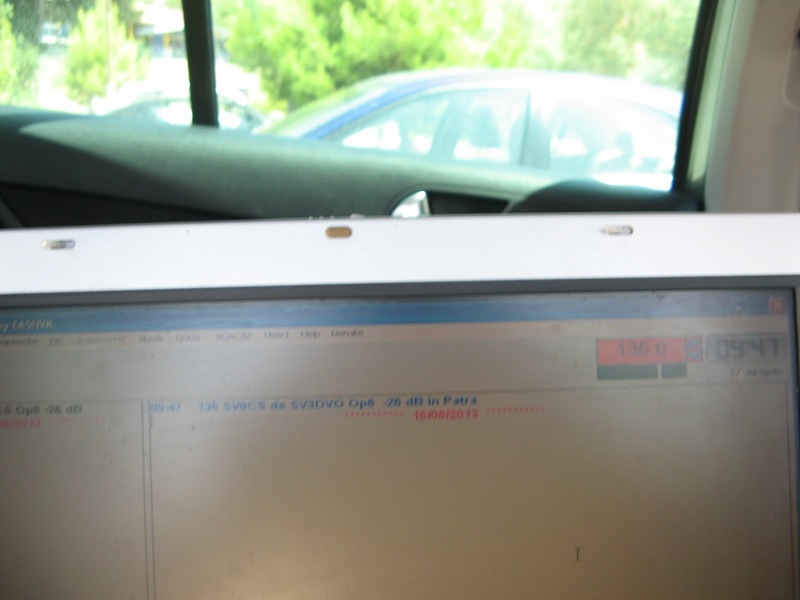 136KHz portable operation- RX only. SV3DVO/p, Manolis was for family holydays on KM08xk, 16 Aug 2013, in Monastiraki beach with his 136KHz portable RXing set-up. 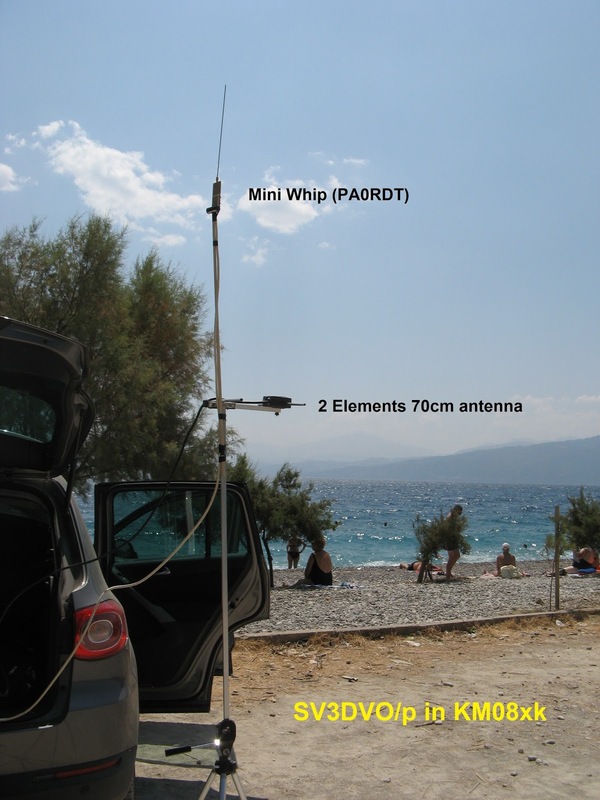 Manolis had an FT-100 with Mini Whip antenna intalled close to his car and very close to the beach at about 2,50m above ground. 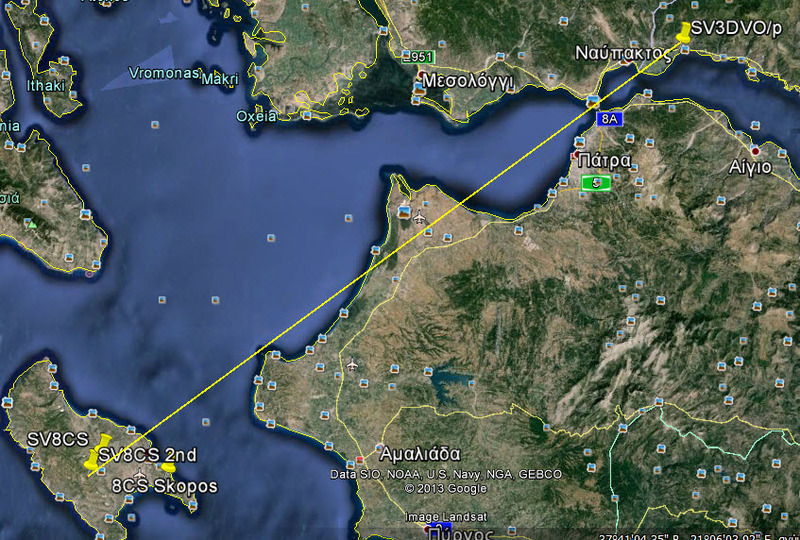 SV3DVO/p captured my 136KHz Opera-8 transmittions with his portable set-up at a distance of about 130 KM (KM07js - KM08xk). 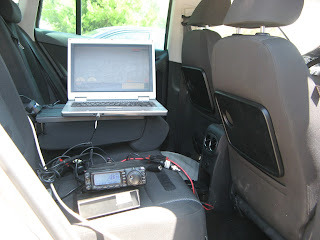 SV3DVO's portable 136KHz set-up at KM08xk. 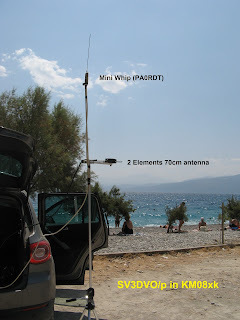 He had also a home made 70cm 2 elements beam for back-up connections with me. FT-100 dial at 136 KHz. SV3DVO at the operating position, in the meantime all the others was in the beach swimming.No power there, no inetrnet, no noise. 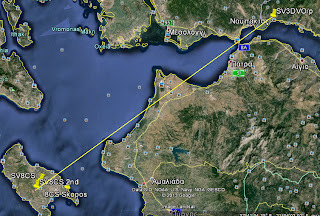 136 KHz portable RXing (KM07js - KM08xk) - QRB about 130Km. Screen foto with the RXing results, on 136KHz portable operation. 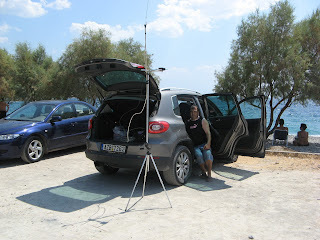 Thank you Manolis for this FIRST ever portable LF operation and I wish next time to have the capability to TX also from your mobile!!! in 136KHz. First ever SV to SV 136KHz (LF) qso.